How Long Does Vicodin Stay in Your System: How It Is Detected? Saliva: Twelve to thirty-six hours after the last use. Hair: Up to ninety days. Urine: Up to three days. Blood: Less than twenty-four hours. How long does Vicodin stay in the system? The question is one of the most common queries among the users of the drug. It may be that you are planning for a pregnancy and would like to protect your future baby from its harmful effects. Alternately, you may want to know how well your pain medication is working. In any case, you should first understand that finding the answer may take time. In fact, many factors determine how long a drug stays in the body fluids or organs. But this does not take away the fact that certain standards help the clinicians interpret the test results. Vicodin is a pain medication that contains an opioid Hydrocodone and a NSAID Acetaminophen. Doctors prescribe it to treat moderate to severe pain. Hydrocodone acts on the brain and alters the pain sensations, while Acetaminophen reduces pain by blocking the actions of inflammatory chemicals. Being an opioid, Hydrocodone is very addictive. The risk significantly elevates if you abuse it. Drug tests focus on the detection of Hydrocodone as it’s the addictive chemical in Vicodin. Like most drugs, Vicodin is metabolized by the liver enzymes. After a series of complex biochemical reactions, Vicodin forms the major metabolites Hydromorphone, Norhydrocodone, and Dihydrocodeine, (which is a minor metabolite). In fact, both Hydrocodone and Hydromorphone account for the drug’s pain-alleviating effects. Also, the drug tests can detect the levels of both primary chemicals in the sample. For this reason, you may test positive even when you had taken a drug that flushes out of the body rapidly. If the metabolites take a longer time to eliminate from your body fluids, you have a chance of testing positive. Metabolism or biotransformation is a natural process in which a drug is chemically changed into other substances once they reach the bloodstream. Liver enzymes metabolize most drugs you take. Metabolites are the products that form after metabolism. Similarly, the portion of the drug that does not change is called parent drug or just, unchanged drug. When Does Vicodin Appear in the Blood? If you take a Vicodin tablet that contains 20 mg Hydrocodone, blood, and saliva tests may detect it within thirty and fifteen minutes respectively. Likewise, “window of detection” is the period of which the sample contains enough drug that may fall within the cut-off limit. If you get a positive test result, you will have to take a confirmatory test, while a negative result requires no further investigations. The urine test is standard and easy to conduct. Also, the drug in urine tends to remain for a longer duration. When you take a urine test, the detection time for Hydrocodone and its metabolites is two to three days after the last dose. As a matter of fact, a blood test to determine the amount of a drug in the body is used less commonly. It is because drawing the blood is an invasive process. Moreover, the drug flushes out of the blood more rapidly than from the urine. Nonetheless, the hospitals and research facilities may use the blood tests. On a positive note, blood tests are more accurate than the urine test. When you take a blood test, the detection time for Hydrocodone and its metabolites is less than 24 hours. The tests that analyze saliva or hair strands are also your options. Nonetheless, they are less common than the urine test. Notably, Hydrocodone remains in the saliva for twelve to thirty-six hours after you took the last dose. Likewise, the hair strands may contain measurable drugs for up to ninety days. Dose: If you take a higher dose, it tends to stay in the system for a longer duration. Meaning, a high dose extends the detection window. Frequency of Use: When you use more frequently, it may accumulate in the body tissues. Thus, it will take a longer time to flush out of the body. Individual Metabolism: The levels of the liver enzymes determine how much of the drug gets metabolized. If you have any liver disease, the rate of metabolism slides down by a significant margin. Moreover, every individual has a unique metabolic rate. Meaning, the same amount of Hydrocodone may stay in the system for different times among the people. Talk to the experts to find out more about “How long does Vicodin stay in your system?” They are one of the few sources of trustworthy health information. With the correct information, you can expect to benefit better. 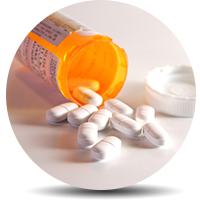 Looking for professional medical help for Vicodin or opioid addiction? Get the best rehabs page here. Addiction Resource » Addictive Substances: The Anatomy of Drug Addiction » Vicodin Addiction and Treatment » How Long Does Vicodin Stay in Your System? It’s not clear if this is where I post a question for experts. Can I ask a question here?